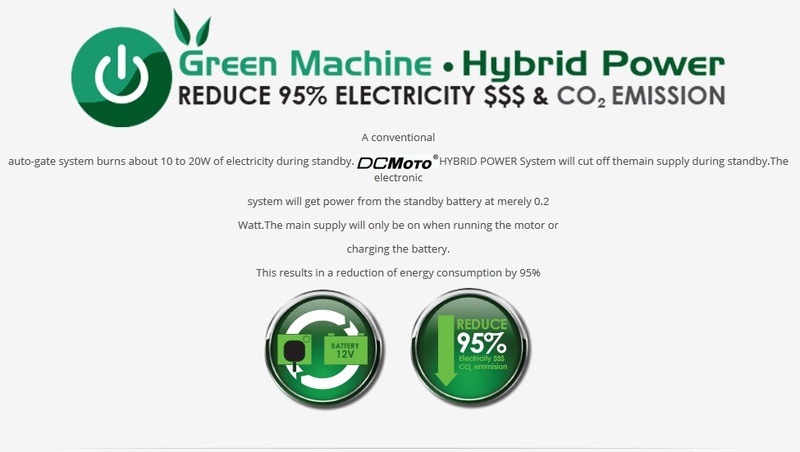 DC Moto all new products are going green! Hybrid Power; Reduces 95% CO2 emission. 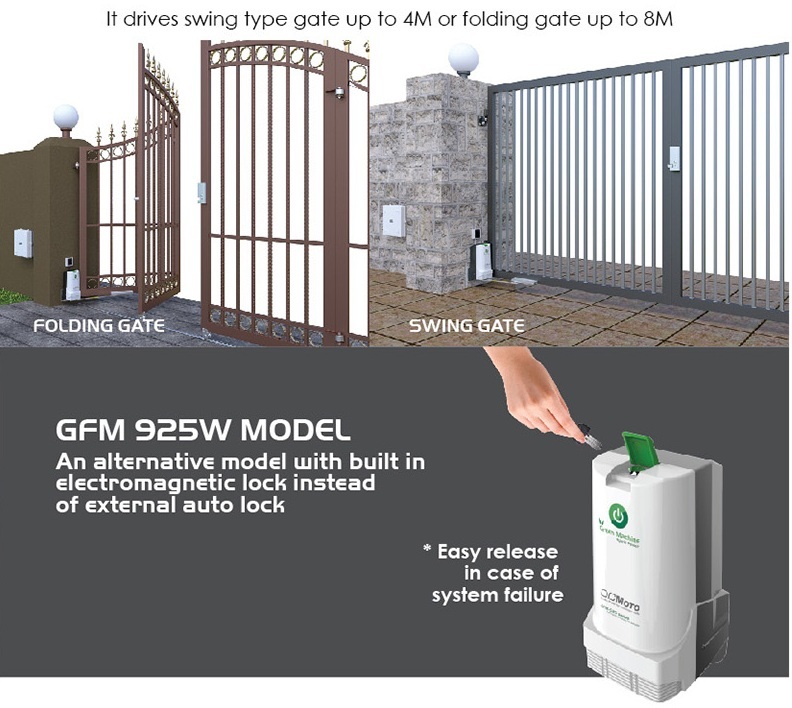 A normal automatic gate consumes about 5 to 10W of electricity during standby 24/7. The hybrid design consumes only 0.2W during standby. Main power is only switched on for running the motor or charging the battery. Backup battery for standby uses only 0.2 Watt. 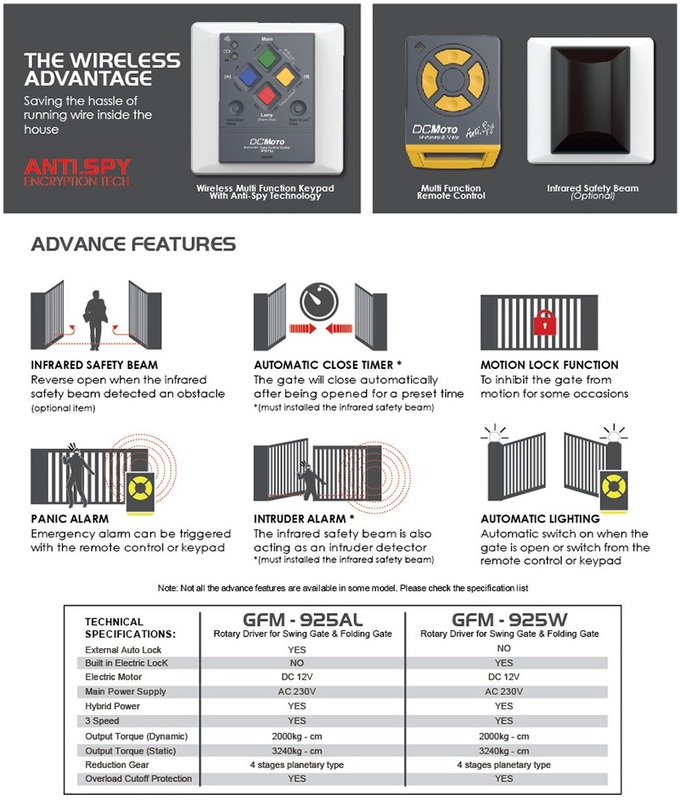 The system will switch to normal power mode and thus function normally in case the backup battery fails. - Output speed (at full speed) - 1.6 r.p.m.